The locals out in Taipei got early hands-on with the Acer Iconia W3 and the video is available below. 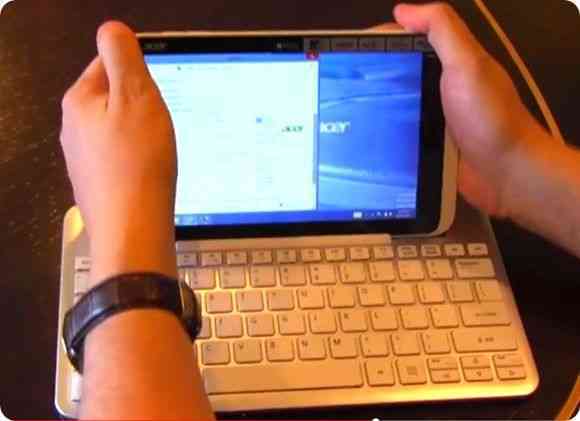 You’ll see the Bluetooth keyboard and tablet ‘dock’ demonstrated along with Windows desktop and a look around the ports. Pricing in Europe is said to be â‚¬329 for the 32GB version and â‚¬379 for a 64GB version. We assume the keyboard is not included but can’t imagine it will cost too much extra as it’s only a Bluetooth accessory. Update: The keyboard costs 69 Euro. Will be interesting to see if it does work well as a productivity tool at that screen size with the included Office 2013. Video gives a pretty good feel for the W3…..seems quite nice from what I see…. 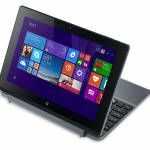 Does it charge through the micro-USB like the Latitude 10? Does it function as both a slave (I guess act as a USB mass storage device) and host (OTG)? Would have been nice if the bezel had a mouse like the Viliv X70. Hopefully, they come out with different kinds of docks. Like one with a trackpad or trackpoint. I’d still buy the tablet based on what I see so far though. I might get this. Although, I’m still hoping to see some OQO type devices. It’s nice to have both a keyboard/mouse and touch. One doesn’t replace the other. I think I’ll get this too but only with 3G. Not bad, a sign of good things to come when bay trail arrives. 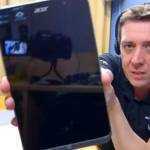 But Acer as usual fails to include a digitizer. This could have been a great note taking companion. Now that Microsoft reduced the price of Windows RT, I’ll be curious if we’ll see them support digitizers on Windows RT devices. While I like the design concept and size of the W3, the more I think about the larger keyboard unit that attaches, the less I like the fact that it’s so much larger than the tablet. If the keyboard is larger, than why not have a larger tablet/display to go with it? Think if I get the W3 I’d just get a small BT keyboard that is more the size of the W3….in other words, for me, portability is higher priority if I were to get the W3…. @ArchiMark… They Keyboard also doubles as a cover/dock for the tablet to protect the screen while you carry it and the keyboard doesn’t matter when you’re using the tablet as a tablet. Students for example can just keep the keyboard in their bag while walking around and using the tablet in their hands. I agree. If I’m going to get the keyboard accessory with this, I might as well get a tablet hybrid with the same footprint as the keyboard instead. Good thing the W3 is sold standalone. At least that’s what I can see. Any more info on my microUSB? OTG? Slow charge port? When can we expect USB charging ports on at least Atom/Temash based devices? Is the 100 W USB charging standard final or is it still being drafted? I may pass on W3 (maybe). I’m still hoping for something like the Viliv X70 or OQO. Having used a Nexus 7 (collecting dust) and a Latitude 10 (nice but big), a thumb targeted mouse and keyboard are still needed on any OS..
It’s already implemented on the Lenovo Lynx. Would be a fantastic device apart from the terrible keyboard. who ever wants a smaller keyboard, even with a “mousing” option, can find these easily on the market in any size and build. so that really should not be a point of “weakness” of the W3 at all. the same is valid for a prozective pouch or sleeve. the interesting questions are peripherals like hdmi/vga connaction and usb charging, because usb charging would allow to use one of these portable charger/accu/spare battery devices already on the market to recharge the tablet on the go and by this extending mobile time a great lot at a reasonable prize. Where can I get a mini keyboard with a mouse? Not one of those Rii, FAVI, QQ-Tech and the other variants. They’re not great. Those are big keyboards. Anyone know of any good quality thumb use ones? I have a FAVI and it’s crappy. c. the size of the keyboard doesn’t matter if you’re not carrying it around…. As for the mini-keyboards…..there’s another page on the website that animation references with lots of different mini-keyboards…. How do I plug in a USB flash drive, with an adapter?…..not the end of the world…..
a Haswell version would be better. Atom Bay Trail M processor, Please note, not with worse Bay Trail T.
Bay Trail M supports for SATA and PCIe, and 64bit Windows, but we do not yet know the tablet would use an SATA or eMMC? If I were to get a keyboard stand that essentially made the device take three same space as a 10″ screen one then I’d get the TPT 2 stand. It has a trackpoint and three buttons. The watch in the photo is the same one Sasha is using in the video. So hacktik is the one stealing photos and information from the internet and claiming it their own. @ArchiMark – I believe you’re exaggerating the size of the keyboard because it’s not a full size keyboard, no num pad for example, and wouldn’t be any harder to carry around than a typical school book… It’s not even as thick as a text book either. @timon – Bay Trail T won’t be that hobbled by eMMC… Like with the RAM, which will make the switch from the present Clover Trail using LP-DDR2 (800 for the Z2760 and 1066 for the Clover Trail+), Bay Trail-T will use LP-DDR3-1066 and similarly will us the improved 4.5 specification for eMMC that allows for more decent performance range than the present offerings. Bay Trail-T also supports 64bit but it’s still targeted to compete with mobile ARM SoCs and Intel doesn’t yet feel the need to push 64bit advantage there. After all, even with 64bit ARM SoCs coming out maybe in the later half of 2014, the software will still be 32bit… namely Android will still be 32bit and all the apps will take a long time to make the switch to 64bit. 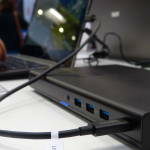 Bay Trail M and D though will push into the laptop and desktop/server markets and so will more likely push the 64bit advantage there with up to 8GB of RAM supported. We have had ever heard about the Atom z2760 and eMMC v4.41 to be how good and good. Finally we seen very bad Atom z2760 and eMMC. Claiming so-called of the eMMC “max bandwidth” 200MB/s would not make sense, which is never shown out the eMMC’s REAL write performance. Really much worse than for SATA 2.0 SSD. So, needless to say SATA 3.0. Tell me, what an eMMC’s Sequential Write 100 or 200MB/s is now where? Did you already have? or a lie just? and some of work-software to run the large of cache disk to the local storage, needed the Sequential Write for good-enough. Importing chunk files are the same cases. Developing the eMMC was originally for cellphone storage just, not for x86 computer system. For Windows OS, the performance of eMMC is very bad, and is worse MTBF. that Bay Trail-T is no 64bit windows, nor PCI-e and SATA. Also, ever since Windows 7 launched, a lot of the 64bit Windows devices were already selling around, did not see? The Grapes Are Sour? is this eMMC better than 2.5″ HDD? So, why need to buy the worse eMMC (Bay Trail T) based on Windows OS? So Bay Trail has access to these faster eMMC drives, which along with faster and more efficient RAM and overall better performance and higher system memory bandwidth should give much better experience than Clover Trail ever could. Like the difference between SATA I and SATA II, the new v4.5 specification allows for significantly faster eMMC drives. To put that in perspective… For the previous gen eMMC drives… In terms of max sequential speeds, a modern HDD can be significantly faster but eMMC is still solid state memory and thus has much faster small read/write speeds, especially in the 4K range. While the newer drives that support the v4.5 eMMC specification can offer noticeably better performance… Samsung claims their next gen v4.5 compliant eMMC drives can reach 140(MB/s)/50(MB/s) sequential read/write speed and with a max specification limit of 200MB/s they can likely push that even higher before they need to update the specification again. Also, you won’t find any SATA drive that can fit into a small tablet, let alone a Smart Phone! So size is another reason why they need to continue supporting those mobile standards! SATA is fine for a large tablet or laptop but smaller devices need components that won’t take up as much space! While competing with ARM means using the more efficient components that help keep system power usage as low as possible! Both eMMC and LP-DDR RAM support more power sipping power states and operate at lower voltage that helps reduce overall power consumption. Competing on power efficiency has to account for all components and not just the SoC! It doesn’t need SATA or PCIe for 64bit… The CPU, GPU, etc at still the same as the Bay Trail M and D, so the architecture already supports 64bit. It’s just hobbled to 32bit because Intel doesn’t feel they need to push 64bit in mobile devices yet and will suffice on just supporting up to 4GB of RAM under 32bit OS. In fact, still that “the improved v4.5 eMMC” really shown out much slower than SATA SSD, (SATA 2.0 and 3.0), although a best eMMC 64GB (newer) is like above said. Note, the 64GB is slower than the 128GB, especially the Sequential Write is likely 25 – 30 MB/s just. Also, the “access time” is a heavy problem — for eMMC storage. Access time is not a problem for eMMC, especially with v4.5 as that includes cache and other enhancements that removes latency and responsiveness. The main problem with eMMC was the slow maximum read/write sequential speeds, not access times, and the lack of higher end performance options prior to the v4.5 specification allowing it! Besides, the Samsung eMMC Pro Class 1500, for example, uses NAND memory with a toggle DDR2 400Mbps interface. I provided a link detailing that cache technology, but apparently you either didn’t read it or didn’t get its significance! Suffice it to say, the cache memory should make these newer eMMC drives much more responsive than before! As for smaller drives being slower than larger drives, this is true of all Solid State drives, including SSDs! Options like SATA Express will likely take a few more years to push out properly for example. In the meantime, like the performance range of the Bay Trail-T, the eMMC v4.5 drives like the Samsung Pro Class 1500 will provide most people with good enough performance and that’s the main point of getting a Bay Trail instead of a Haswell based system! How does eMMC compare with 2.5″ magnetic hard drives in sequential and random reads/writes? What do you do that requires higher IO performance? Most of the stuff I do are limited by the z2760 CPU before the disk starts bottelnecking the performance. Looking at the keyboard – where did the foldable Bluetooth iGo keyboard go? I’ve still got mine and it is brillant, flexible with all sorts of devices and pocketable. I’m sure someone owns the rights to it, but it doesn’t seem to be in production. —— What do you do that requires higher IO performance? Sometimes to convert RAW image to JPEG or TIFF. Sometimes shoot 5, or 10, or 30 images, automatically import to tablet/ultrabook, via the USB cable. ExifPro is an excellent image viewer, but needed with disk I/O performance, most of image software are also so. Some others who need to import and watch 1080P video, sometimes to recode and compress video files. Also, some professional 645 format cameras captured every RAW image gets a larger-sized. The 1080P video, in 10 minutes to capture with hundred MB or larger. Some software no longer support the 32bit Windows. Fully unlike in Atom tablet, this Acer P3-171 (i3-3229y, mSATA 64GB, 11.6″ IPS, Weight 768g) it can well meet all of the performance requirements above, (Pentium 2129y/mSATA 64GB is also in acceptable level), but I am expecting an 8″ – 9″ Windows tablet at the outdoor purposes. Worldwide yearly shipped of the interchangeable lens cameras were already over 10 million units per year, ever since March 2010. There are huge market for Windows tablets, however, many of them bought iPad and Android or Mac Air and Ultrabook, very helpless, despite these are not better to meet more requirements — especially like iPad and Android. Sounds like Windows 8 tablet launched over 240 days, but the situation remains so, no powerful change. Windows is not just about Word and outlook, nor just for play, there are much wider contents. Intel carries with their Netbook’s mouldy thought deeply embedding to Atom Win8 tablet, but, this day and era already fully changed, no longer 5 ago. HDD (chunk files) Read and write are lesser difference, fully unlike in the eMMC. the worst situation is a mass of the random write chunk files, like a heap of the image files with each 1 – 50 MB of them different sizes, at the v4.41 eMMC 64GB goes up to above the 50ms, but the eMMC 32GB is worse, even 100 ms or longer. Note, the worst Access Time and the slowest random w/r chunk files all of these simultaneously showed up, but not isolated problem. In v4.51 eMMC is still continuing with similar problems, still not good thing based on x86 Windows OS, not about a cellphone or Android slate. The eMMC’s the access time are large-scale wiggle to follow with file-size, while the shorter access time are just with small-sized files — like 4KB of file. The heavy and slow access time is in chunk files, especially the random w/r chunk files. eMMC 4.5 compared with eMMC 4.41, the main improvement is just read speed for small-sized files, but the write performance is still without an exciting actual improvement, especially the chunk files. The access time is still so bad —- for the chunk files the write and read. Except as starting OS or software, or accessing internet webpage, usually most of people who would not write a lot of 4KB files to save into local disk everyday. Thus, except like SATA SSD better, I would prefer storage performance close to a 2.5″ HDD, but is not current eMMC. Very expecting a tablet can be switched to act as a portable monitor for outdoor purposes, meanwhile the computational system went into Deeper Sleep mode. All of the nowadays cameras have a HDMI output port, besides it can directly play back image from camera to a portable monitor with a larger screen, while a larger screen and a tripod way can also get better live-view before a shooting. Worldwide yearly shipped of the interchangeable lens cameras were already over 10 million units per year, ever since March 2010. There are huge market. But not limited to camera area, via from other fields I had also seen more of them who wanted to get a portable monitor mode (based on a tablet or a laptop itself, not another device), at play and work sides. Up to now, Intel did not design it. However, mobile purposes are wider markets. LOL, a how beautiful pie you drew! Folks, Please wait for 2015, do not buy Atom tablet now! actually a 64GB v4.41 eMMC is a how far away from so-called “104MB/s”! how huge difference here were! —- “Besides, the Samsung eMMC Pro Class 1500, for example, uses NAND memory with a toggle DDR2 400Mbps interface”. No a wonder, Nor impressed. Besides, we seen that fox tail is written the 50(MB/s) and based on a CAPACITY 128GB, really far away from 200 MB/s. The 128GB 50(MB/s) write is for fast and good? Still too slow! Very far away from USB 3.0 II, VERY DISPROPORTIONAL! That goes to a 64GB eMMC would be merely for 25-30 MB/s write, very likely! The mini PCIe SSD were already using, R 800MB/s, W 740MB/s! Mind, Broadwell, H97, Z97, these are coming, next 18 months, support SATA Express 10Gbps, up to 16Gbps! 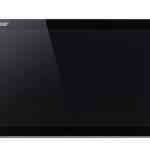 WD3200BEKT-22KA9T0 2.5″ HDD 7200rmp, HD Tune Read/Write: 87 – 190 MB/s, HD Tune access time: 14ms. The write of chunk files is a faster speed than a 64GB eMMC (v4.5 or v4.41 ). So, tell me, why as 4KB Random Read/Write it is no longer better? DDR memory’s access time is several ns just, do you think that can be 50ms? SATA SSD access time is just 0.1ms, do you think that even if 50ms is also inessential? —– “you won’t find any SATA drive that can fit into a small tablet, let alone a Smart Phone!”. “a Smart Phone”? Windows tablet is a Smart Phone? Tell me, what is iSSD’s size? an iSSD 128GB with a size in 16 x 20 x 1.85 mm, this is much larger than an eMMC? Even if an mSATA can also put into a 8″ or 9″ tablet, no problem, besides, that mSATA SSD also have a half-sized, 30x35mm, 64GB. Also, mini PCIe SSD, faster, a 64GB PCIe SSD is now smaller-sized, we have already seen a width 24mm in PCIe SSD, no longer width 30mm. Mind, all of the Clover Trail tablets were a 10.1″ in 2012, no smaller-sized, however, Atom z2760 did not support SATA! Could it be problem with size in an mSATA SSD? There is now no longer power consumption, nor size, problem is actually at Intel carries with their Netbook’s mouldy thought deeply embedding to Atom Win8 tablet. Mind, The mini PCIe SSD were already using, R 800MB/s, W 740MB/s! 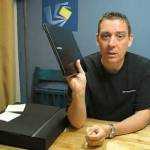 Also, Broadwell, H97, Z97, documents already leaked out. Intel did not tell us that Bay Trail-T is with 64bit OS that this slide, while is just that you have been claiming so, more big words and big words. This Intel’s slide just the DDR’s data width, not pointed to OS. During this slide released, Intel has also released more documents together, these documents clearly told us that Bay Trail-T is with Windows 8 CS 32bit OS, another is Android OS, no else. Also, whether it’s locked to 32bit OS or is other, that is no 64bit OS with Bay Trail-T as Intel published. Even though Windows and Android, the Clover Trail processor has also otherness between both. —– “Because that’s the only way for Intel to compete with ARM for cost and power efficiency” “……” “……”. The market reaction have clearly told you as something of the z2760 tablets. Likely the Bay Trail-T Windows tablet is again as the same fate. Looks a more dead than alive. Even though flapdoodle so more, still you impossible to gloss over market reaction. HD-Tune typically gives results lower than CrystalMark but you have to compare results from the same benchmark to actually compare drives! HD-Tune score for HDDs and SSDs would show lower value too, compared to CrystalMark! So, like I told you the weak spot for eMMC is primarily just the Sequential Read/Write speeds but compares much better for the smaller 4K read/writes in which it clearly exceeds HDD performance! While your understanding of how much eMMC v4.5 improves performance is still lacking because you’re apparently stuck on comparing to the older eMMC specification. Problem is the new specification not only nearly doubles the max speed headroom but allows for other features and enhancements like using much faster cache memory to reduce latency and allow for much better burst speed performance! Just like how hybrid SSD/HDDs can provide better performance than a regular HDD! Combined with up to 4GB of system RAM, which also uses faster LP-DDR3-1066 RAM instead of the previous slower LP-DDR2-800, means overall snappiness of the system will be significantly better than what they could offer before! Sure, it still won’t be comparable to fast SSDs, but it’ll be equal to even faster than the fastest non-RAID HDDs available and it would all still fit into a device the size of a Smart Phone, which you can’t say the same for any SSD! Even the half size mSATA cards are larger than eMMC solutions! You also seem dead set on ignoring the other advantages of offering lower cost and, as just pointed out, the space savings these options offer and how that’s actually important for mobile tablet designs as that helps reduce weight and give more room for other things like battery capacity, etc. As for 64bit for Bay Trail-T, the Intel slide showed Bay Trail-T has 64bit Data width and that points to support for the actual hardware! Besides, all the Bay Trail’s are using the exact same Silvermont Architecture and that means all of them support 64bit! They’re only scaling the architecture between the different versions of Bay Trail and Intel is just not pushing 64bit advantage for Bay Trail-T! Really, the only reason people think Bay Trail-T is only 32bit is because it’s only listed for up to 4GB max RAM and only lists support for 32bit Windows 8 but that’s only because they don’t really need 64bit unless they push more than 4GB of RAM and they presently don’t need to in order to compete with other mobile tablets! This is all because they obviously want to keep costs down for tablets and using eMMC and LP-DDR3 RAM helps accomplish that goal! And no, the Z2760 lack of success was because of reasons like MS and OEMs still priced tablets too high! When you can get a Core i5 Ultrabook for less than a Clover Trail Hybrid then of course there wouldn’t be as many people interested! While the Clover Trail tablets also lacked incentive like inclusions of Office, which MS is only now allowing for tablets 10″ and smaller! Add the uncertainty of Windows 8 and the low specs of these first generation Windows 8 tablets that could barely do more than you could with existing mobile tablets and the lack of apps in the MS App store and you clearly can’t compare how Bay Trail will do in the market to how Clover Trail managed! So things will be clearly different with Bay Trail-T, it may still be using eMMC and LP-DDR RAM like other mobile tablet but those components aren’t as much a bottleneck as they were for Clover Trail and the performance of the SoC will obviously be better and still compete with ARM on both pricing and battery life! While Windows 8 will be updated to the improved 8.1, which also comes at a time with a much more developed MS App Store and better pricing and options all around! 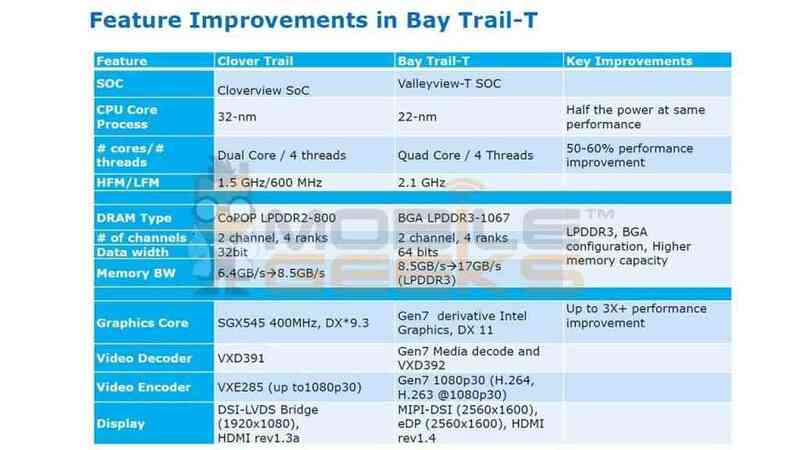 Bay Trail-T would also not suffer from issues like poor drive support that Intel got for the Clover Trail GMA from Imagination… and what even Bay Trail-T will offer will be substantially better than what Clover Trail could offer. Anyway, you don’t have to get a Bay Trail-T device if you rather want something closer to a Pro Tablet but the success of the platform does at least partially depend on being able to offer a range of options for all the different types of users and potential applications these new systems will be useful for… So, like it or not, it’s all good for what will be coming out with all versions of Bay Trail! I am very happy with it, especially the battery. you did a heap of the same flapdoodle, again and again, no else! Dear Sir, do you get drunk? As for the rest, what I did was thoroughly show that like it or not eMMC is improving, will be good enough for most people, and there are plenty of reasons why it’s the better option for mobile devices and why SSDs aren’t always a option! So you can be rude and dismissive if you want but you’re fooling no one but yourself!